Today’s featured recipe comes from Regina who blogs at Molly Mell. Regina has sent us this recipe for Brigadeiro – Brazilian White Chocolate Truffles. Today’s Featured Recipe is Brigadeiro – Brazilian White Chocolate Truffles. You could adapt her recipe to fit most holidays. Just think of the way you could decorate them for Easter, Halloween, or Christmas. What makes these sweets such a good choice, is that they have only four ingredients: chocolate, condensed milk, butter and valentine’s sprinkles. 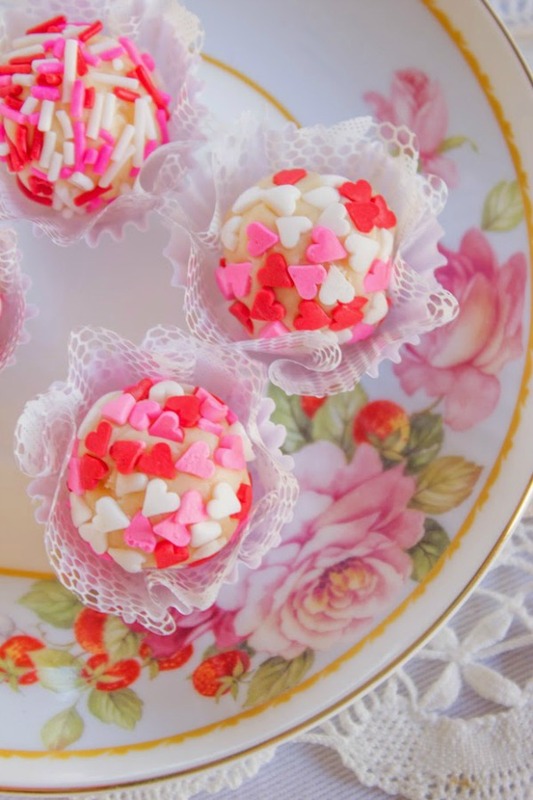 If you are looking for a special Valentine’s day sweet treat, you can’t go wrong with Brigadeiro – Brazilian White Chocolate Truffles. Many thanks to Regina from Molly Mel for submitting this recipe for us to enjoy! Be sure to visit her website for many other interesting Brazilian recipes. In a medium sized saucepan, mix the sweetened condensed milk, chocolate powder, and butter and cook over medium-low heat stirring constantly until the mixture becomes thick and shiny, and starts to pull away from the bottom and sides of the pan. Remove from the heat and pour the mixture into plate that has been greased with butter. Allow to cool completely and then roll into small balls. 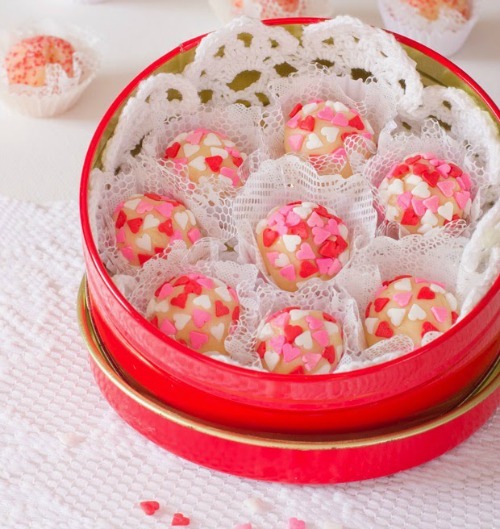 Roll each ball in the Valentine's sprinkles and place them in paper candy cups.